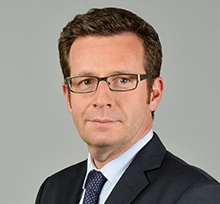 Sébastien Bonnard is managing partner of Brown Rudnick’s Paris office. An experienced International Arbitration specialist, he has been involved as counsel in numerous arbitration proceedings both institutional (ICC, ICSID) and ad hoc, as well as in post-arbitral disputes (annulment and enforcement) for both private and public operators. He is also active in alternative dispute resolution proceedings such as mediation or conciliation. Sebastien, an ICC France registered arbitrator, is particularly active in disputes relating to construction, mining, telecommunication, joint ventures and distribution agreements in Africa and the Middle East. Sébastien also has significant experience in the negotiation and monitoring of construction contracts (EPC contracts, lump-sum contracts, etc.). He is the author of the French Chapter of the PLC Cross-border Constructions and Projects Handbook 2014/15. Sébastien is a lecturer in the International Business Law Master’s 2 degree at the University of Paris XI. Sébastien’s native language is French and he is fluent in English. 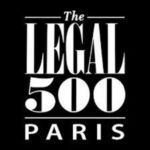 Listed in the Legal 500 (EMEA and Paris, Ed. 2016 and 2017) for International Arbitration and in the French Décideurs/Leaders League Guide on Dispute Resolution (Ed. 2016) under the “International Arbitration“ category (strong notoriety). Listed in Who’s Who Legal: Future Leaders – Arbitration (Ed. 2017 and 2018). WWL says Sébastien Bonnard is an "amazing lawyer - tremendously dedicated to his clients and to turning each and every stone"